Our Diabetic Life: If you looked in our window. If you looked in our window. You would see a family. Blond hair, brown hair...and one with a tint of auburn in it. You would see a family trying their best, and not always succeeding. You would see a constant stream of blood droplets and needles. Set changes and pump checks. You would see a saxophone in the corner and a trumpet in the middle of the floor. You would see children eating with care. They would size up their food thoughtfully and then enter a number into their pumps. You would see test strips on the kitchen counter, on two dressers, on the hallway blood sugar station, and on one end table in the family room. You would see a mother on her computer and you would wonder what she was typing. But her gratified smile would tell you she is happy within the brightness of her screen. You would see a father changing out of his starched collared shirt and into a comfortable white T shirt. You would see kids hurrying to get their homework done so they can go on a bike ride with their dad. 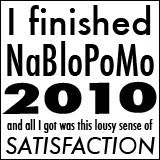 You would see parents sitting close with their eyebrows furrowed, looking at the basal review screen on their son's pump. You would see a refrigerator that doubles as a medicine cabinet and a linen closet that doubles as a pharmacy. You would see children running around like monkeys trying to see how much they can rile up the dog. You would occasionally see worry on a mothers face as a child informs her of a blood sugar number, or when the dog alerts to a low. You would see children gulping down apple juice rather than sipping. You would see reminder notes of doctors appointments. You would see boys running to the bathroom without a second to spare. You would see a blood ketone monitor sitting on the dining room table. You would see brothers playing video games together. You would see bravery as a child receives a set change with a needle that would startle you. You would see that the carpet is more worn near the blood sugar station. You would see one cabinet filled only with things that would help for a low, and you would see tiny specks of blood on the cabinet door from hasty blood sugar checks done seconds before. You would see a constant stream of boys at the water dispenser on the fridge. You would see a father helping with calculus, and mother helping with spelling tests. You would see extended family coming for dinner and none of the above actions would phase them. You would see laughter. Bickering. Crying. Joy. Sadness. Peace. Confusion. Calm. Frustration. More than anything though, If you were to look through our window, I hope you would see that love lives here. And that the love makes it all ok.
Because if you stayed long enough you would see the children coming one by one to kiss their parents goodnight, and then you would see them sleep like they don't have a care in the world. You would see the children's perfect faith that their parents and the angels will watch over them while they sleep. 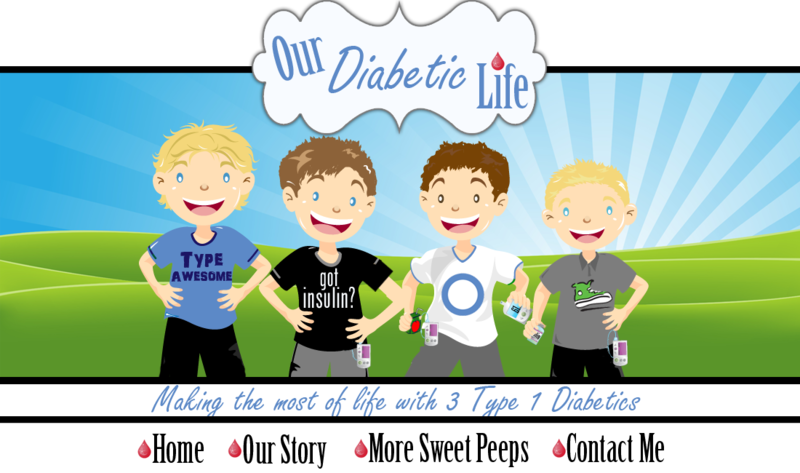 And you would see their parents living up to those expectations, because their greatest wish is that their children sleep peacefully and receive this small respite from their diabetic lives. You would see our family trying our best, loving our best and hoping our best. 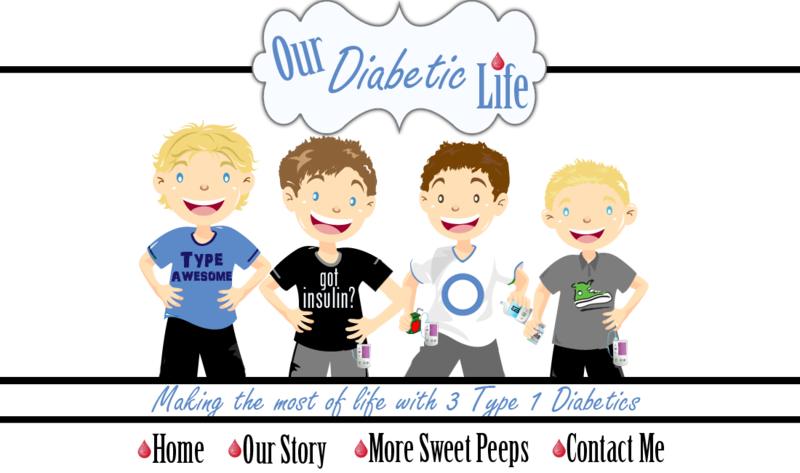 It is our normal and our story...and I am thankful for all the facets this diabetic life brings to us. The good and the bad. After all, how would we know joy without knowing sadness too? The images in our window would be pathetic if we didn't try to make the most of the circumstances given us. The sadness isn't going to go away...all we can do is take it one day at a time and try to enjoy the ride the best we can. I loved looking into your window! this is BEAUTIFUL, meri! diabetes is certainly a big part of our lives, but it's not the sum of who we are. i hope that people can see that when they look at me, too. I love this post...your home must be a wonderful place to grow up, and you're certainly the glue that holds everyone together. Can I run away to your house, please? I just found your blog and it is so powerful. you have such strength. My future mother-in-law has type 1 diabetes and it is very scary. My prayers go out to your family. Looking in your window, I see beauty and love and happiness. I see EVERYTHING that is important. I loved this whole post but this line caught me most - "a refrigerator that doubles as a medicine cabinet and a linen closet that doubles as a pharmacy". I'm not sure why, other than the fact that is my apartment too. Our homes look like anyone else's until you see the sharps container in the closet next to my dress pants and shoes. :) Saxophones are full of win.